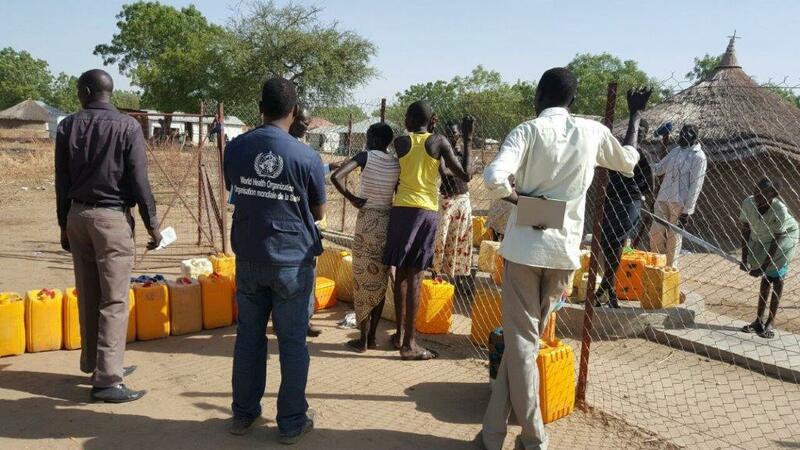 14 February 2017, Juba, South Sudan - Despite the ongoing complex humanitarian crises in South Sudan, the World Health Organization (WHO) in partnership with the Ministry of Health and partners are responding to the latest cholera outbreak in the former Jonglei and Lakes States. The outbreak of cholera was first detected in June 2016 and since then 5 006 cholera cases and 99 deaths (CFR 1.98%) have been reported from 12 Counties in nine states countrywide. “The outbreak poses a significant threat given the security concerns in affected and at-risk locations and the drastic deterioration of the health care infrastructure. Currently over 11% of health facilities in the affected locations are non-functional. The national health system’s capacity to respond to the cholera outbreak has been severely compromised by the continuing decline in health system performance due to conflict,” said Dr Abdulmumini Usman, WHO Representative to South Sudan. Most cases are currently reported from Mingkaman, Panyijiar, Mayendit, Bentiu PoC, and Bor South. Cholera has also been confirmed in Shambe, Adior, and Langmatot in Yirol East and Duk and Twic East in Jonglei. The health of these populations is already compromised as a result of food shortages, increased malnutrition and lack of adequate health services. Without a sustained multisector response, cases of cholera are likely to increase. WHO and the Ministry of Health have activated national and sub-national cholera taskforce committees covering overall coordination and resource mobilization; case management, surveillance and laboratory, WASH, Risk Communication and Social Mobilization, Logistics and use of safe and effective oral cholera vaccines. To address the rising need to treat critically affected patients, WHO and partners deployed the rapid response team to help contain the epidemic and treat those affected. WHO with funding from the European Civil Protection and Humanitarian Aid Operations (ECHO), the Government of Japan and the United States Agency for International Development (USAID) has been supporting the cholera prevention and treatment efforts through provision of supplies including tents and cholera kits, strengthening disease surveillance and comprehensive disease investigation through the deployment of rapid response teams, training community health workers to conduct house-to-house case identification, initiation of treatment with ORS and referral to designated treatment centers, establishment of cholera treatment center as well as supporting social mobilization and community engagement activities. 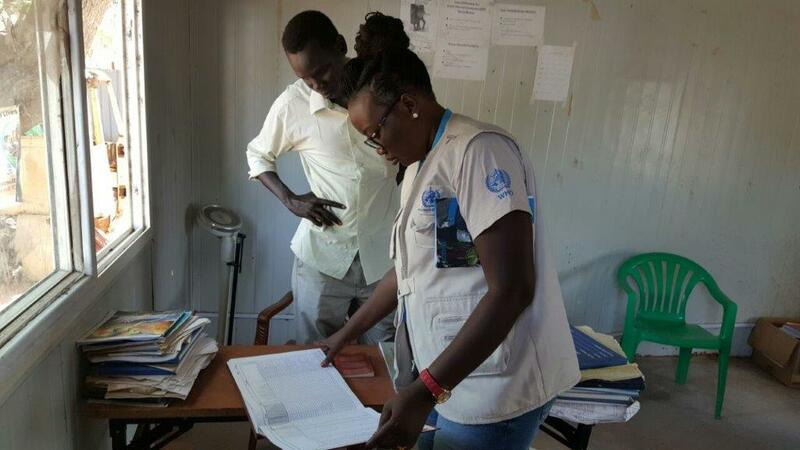 WHO and health cluster partners has identified nine high-risk IDP locations including: Bentiu PoC, Mingkaman, UN House PoC, Bor PoC, Malakal PoC, Mayendit North, Leer Town, Panyijiar, and Wau PoC and IDP sites – that will be prioritized for emergency complementary oral cholera vaccination. WHO has initiated steps to secure the vaccines and lead partners have been identified to deploy the vaccines to the selected IDP sites. 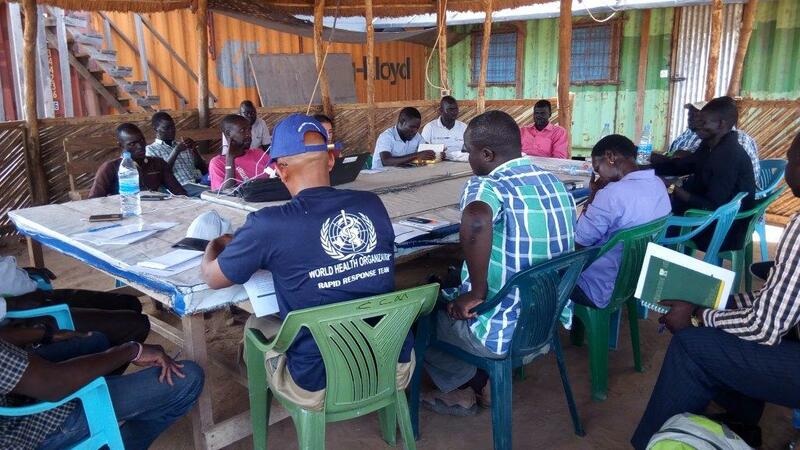 The oral cholera vaccine requests will be placed in three phases with the first two phases prioritizing IDP sites (Leer, Mayendit, Mingkaman, Bentiu PoC, Bor PoC, and Panyijiar) with active transmission. At least 300,000 doses of oral cholera vaccines for Leer and Mayendit North have already been requested by WHO from the emergency stockpile. As part of the response, WHO delivered supplies including cholera kits that provide treatment for 700 people, rapid diagnostic test kits, Cary Blair, backpack, hand sprayer, IV fluids. To improve case detection and treatment of cholera, WHO has also distributed cholera preparedness and response guidelines. With the overall goal of reducing mortality and morbidity related to cholera, health cluster partners with support from the common humanitarian funds have supported service delivery through the deployment of rapid response teams to implement the cluster strategy on outbreak response and to ensure accountability to the affected population. Health cluster partners have worked on risk assessments and provided micro plans to support the response. Given the overall situation in South Sudan, containing the outbreak at an early stage is critical to avoid the spread of the disease. The failure to control the outbreak could have immense public health consequences, straining the overstretched capacity of health services and resulting in an increase of morbidity and mortality. 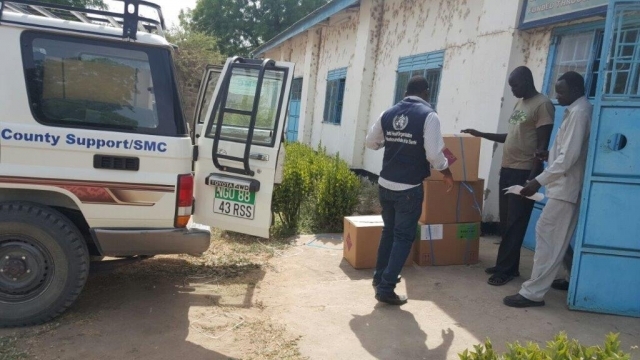 01. WHO delivering cholera kits to Agorbar PHCC run by Sudan Medical Care, Bor. 02. Cholera taskforce meeting in Mingkaman. 03. The WHO rapid response team assessing the water sources in Bor. 04. The WHO rapid response team investigating cholera cases at Anyidi PHCC, Bor.